A scarf that also serves as a necklace? Yes, please! 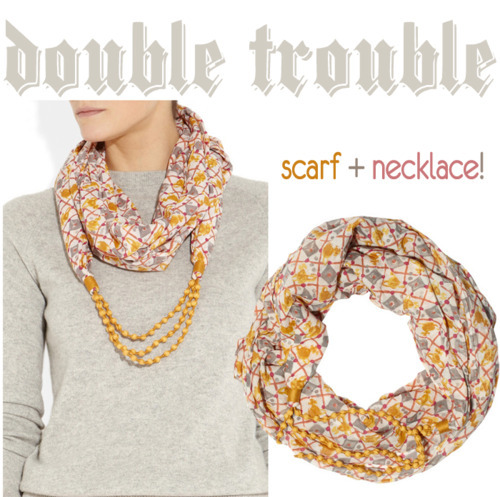 This genius Vivienne Westwood combo solves the issue of pairing jewelry with an adorable scarf. The coloring is also perfect for transitioning into spring and summer.